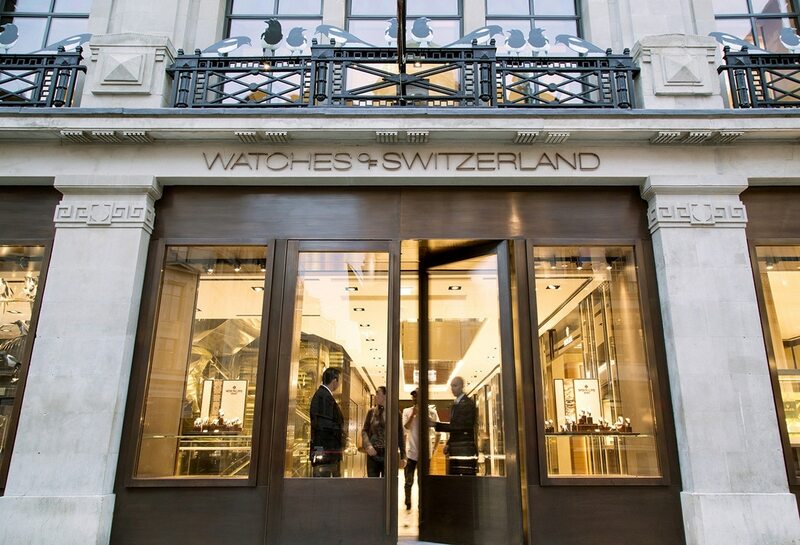 Exterior of Watches of Switzerland flagship store on Regent Street in London. Courtesy CallisonRTKL. 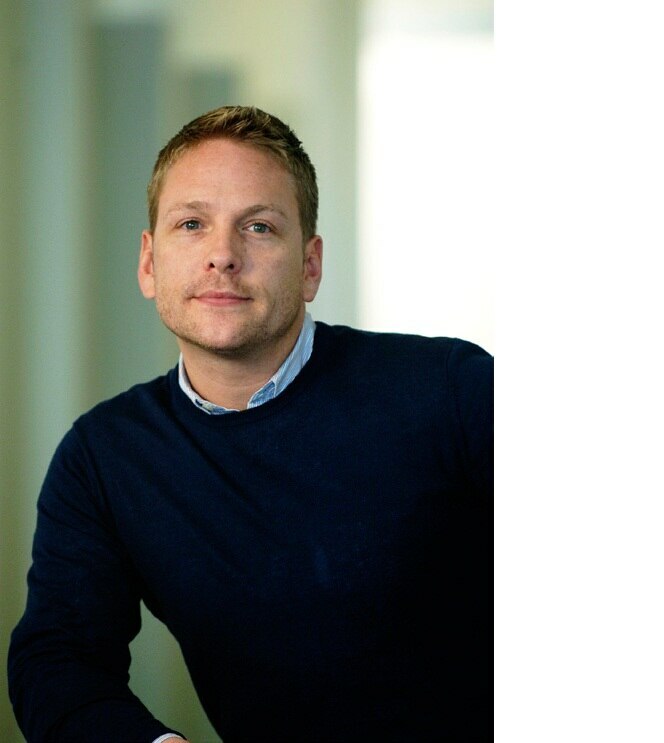 Tom Pulk, Senior Associate Vice President at CallisonRTKL and the lead designer for the Watches of Switzerland project. Courtesy CallisonRTKL. 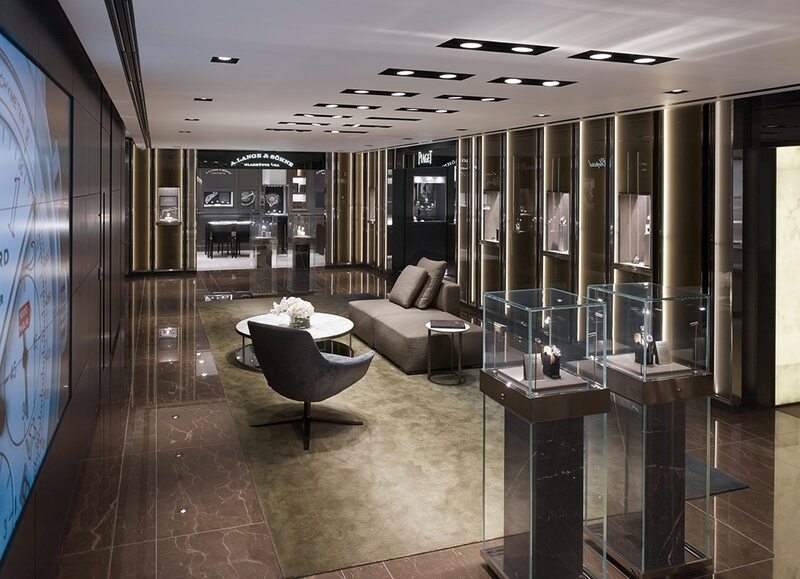 Upper level of Watches of Switzerland flagship store. Courtesy CallisonRTKL. 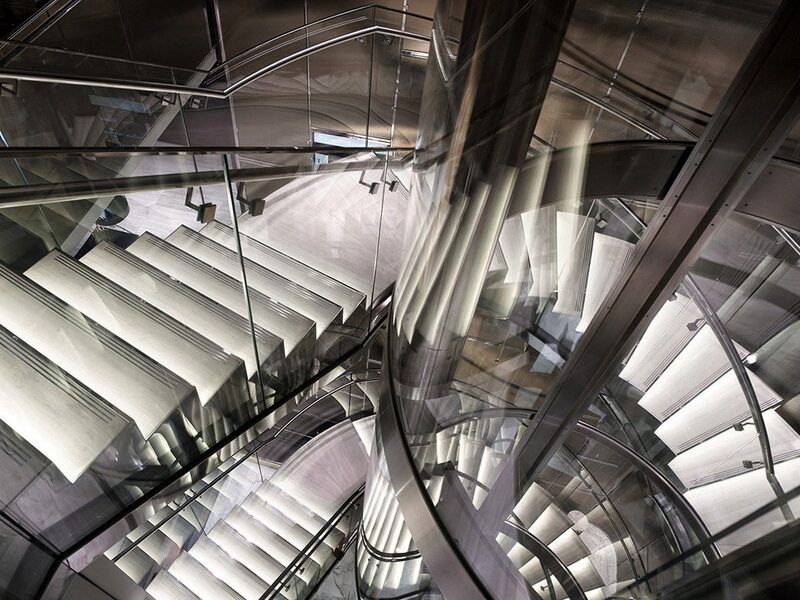 Close up of circular stairway and circular elevator at Watches of Switzerland store. Courtesy CallisonRTKL. Watches of Switzerland’s elevator and stairway in AutoCAD. Courtesy CallisonRTKL. 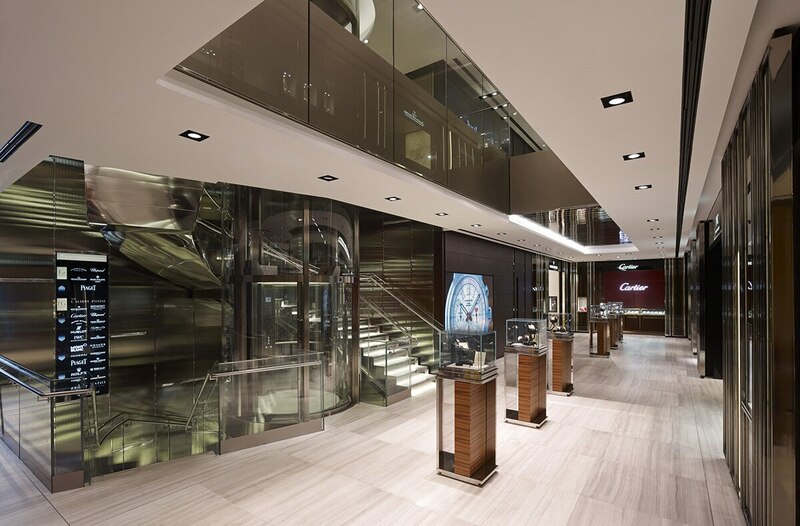 Circular stairway and elevator at ground floor of Watches of Switzerland store. Courtesy CallisonRTKL.